Puno, Peru suffers from a case of bad PR. Ask most travelers about the windswept Andean town, and you’ll likely get a lot of blank stares. 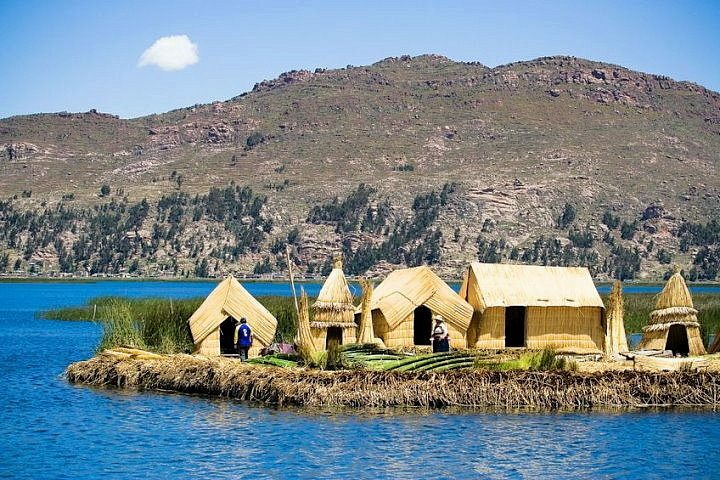 “Puno—where exactly is that?” Those same travelers will prick up their ears at the mention of neighboring Lake Titicaca, or of the Islands of the Sun on the Bolivian side of the world’s highest navigable waterway. But Puno they pass over with a shrug. Even many Peruvians admit—shamefacedly—that they’ve never been. Things may be changing, though. In 2013, Peru’s Ministry of Tourism, citing increasing revenues in the region, listed Puno as the country’s second-most-visited tourist destination, after Cuzco and the Sacred Valley. Someone, evidently, has gotten the word out about this pearl of the altiplano. Meanwhile the trickle of outsiders curious about the city continues to grow into a stream—drawn no doubt by the beauties of Titicaca and its legendary islands, as well as the ecotourism in which the region abounds. To help you discover this still-underrated destination for yourself, here’s a list of nowhere-else-in-the world experiences to be had in Puno. Bring your soroche pills—and your sense of wonder. No list of Puno attractions can avoid giving the Uros top billing. And rightly so, considering the tribe’s unique lifestyle (they live on artificial islands thatched together from the totora reeds that grow in Lake Titicaca) and astonishing longevity (they’ve outlasted not just the Incas, but a long parade of other would-be conquerors stretching back almost 2,000 years). When you go, you’ll have the chance to learn about their traditional folkways and fierce struggle to survive. But the real highlight of the tour is a trip around the islands in a “Mercedes Benz”—a regal barge woven entirely from totora. An essential stop on any trip to Peru. Finished in 1757 and designed largely by the mestizo artist Simón de Asto, the granite façade of this striking Baroque edifice combines traditional Catholic ornamentation with fanciful motifs drawn from the New World. Thus while the Doctors of the Church busily scribble at their books, carved mermaids strum small Andean guitars (charangos). There are also fruits and animals native to the altiplano. The interior, unfortunately, was damaged by a fire in the 1930s, but the main altar is grand. While you’re there, be sure to check out the ornate balconies of the house of the Conde de Lemos, Puno’s founder, right next door. If Lake Titicaca is beautiful, Sillustani approaches the sublime. Ranged along a high stone outcropping some 20 miles outside Puno, this line of chullpas (funerary towers) once housed the remains of the Qolla, a fierce warrior tribe vanquished by the Incas in the late 1400s. Qolla nobles would bind their dead in the fetal position and inter them in uterus-shaped tombs, together with food and personal belongings for their journey into the next world. In recent years lightning and grave robbers have taken a toll on the ancient ruins; several of the chullpas are in extreme disrepair. But the effect of the 40-foot piles silhouetted against the darkening sky continues to be indescribably august. The taxi ride from the city will also show you the altiplano in all its melancholy beauty. This quiet Andean village is an ideal Sunday-morning outing for those wanting a glimpse of rural life near Puno. Once the seat of the Qollasuyo, the southernmost division of the Inca empire, the town was visited by Francisco Pizarro himself during his Andean campaign in 1539. Today Chucuito’s principal attractions include an Inca fertility temple, in which stone phalluses sprout from the grounds like toadstools, and the Renaissance church of Santo Domingo, built in 1581 and hence the oldest in the altiplano. If you go on Sunday, you can have a relaxing outdoor lunch at the excellent Tipikayala, a restaurante campestre attached to a local hotel, and afterwards see the villagers performing traditional dances in the central plaza, clad in the colorful costumes typical of the southern Andes. Tiny Taquile is one of South America’s most beautiful places. Standing atop its terraced slopes, warmed by the clear sunshine, there are moments when your mind plays tricks on you and you’d swear you were on an island in the Mediterranean—Capri, or Sardinia. Rustic stone paths crisscross the grazing areas for sheep and cattle. Sheltered groves look out onto water that is dazzlingly blue. No less of a marvel are the inhabitants, whose collectivist lifestyle and high-quality handicrafts are crucial to their survival. In Taquile it’s the men who do the knitting: from an early age, they wander the fields, needles in hand, stitching the stocking caps that indicate their marital status. The women, meanwhile, weave the colorful blankets sold (at high prices) in the island’s co-op. When UNESCO recognized Taquile’s value by making it a World Heritage Site, they merely confirmed the judgment of all who visit this tiny sliver of paradise. Legend holds that when native Aymaras rose up against the Spanish during the great Tupac Amaru Rebellion in 1781, the Iberians in Puno were saved by the Virgin Mary, who caused their swords to glow like fire as they hewed at their attackers. Ever since, the Virgen de la Candelaria has been the patron Saint of Puno, and the city’s inhabitants render homage to her each year with an over-the-top festival, full of danzas folklóricas, imaginative costumes, religious processions, and lots and lots of alcohol. The fiesta stretches over two weeks in early February, with some 100,000 Peruvians from all over the Andes taking part. Especially stunning are the opening dance competition, which features some 70 gorgeously clad troupes going head to head in Puno’s stadium, as well as the diablada, a dance ritual commemorating the miraculous delivery of a group of trapped miners from a swarm of underground devils. The mix of Spanish and indigenous elements is striking—and wholly characteristic of Puno. Paradoxically for a nature reserve, Suasi is more upscale than many locales in and around Puno, but those who visit this tiny (just 100 acres) private island in the extreme northeast of Lake Titicaca come away with unforgettable glimpses of the region’s delicate ecosystem. 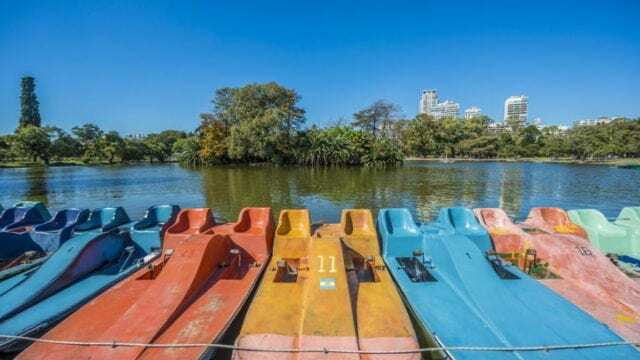 The island is uninhabited save for the solar-powered Casa Andina eco-lodge, which offers tour packages to guests seeking to escape the clamor of civilization. Bird-watching, canoeing, hiking, star-gazing, even encounters with local shamans: Suasi lets you experience the altiplano’s natural beauty up close. Take a bus from Puno, or cross the lake by boat.